Crunchyroll - You Will Not Believe How Reindeer Tastes! Are Lindel and Chise Do from The Ancient Magus' Bride Crazy??? You Will Not Believe How Reindeer Tastes! Are Lindel and Chise Do from The Ancient Magus' Bride Crazy??? OK, let's address the elephant in the room. Or, rather, the reindeer in the room. I know eating reindeer, for quite a few people, seems a bit... wrong. Or, it would to the people who live here in California with me. Most of it has to do with the fact that Rudolph the Red-Nosed Reindeer is practically the mascot of Christmas in America. I mean, it would be unusual to eat them anyway, considering most of America doesn't get cold enough for reindeer. But reindeer are just not considered common food. However, I am here to tell you that if you are one of the people that harbors these feelings about eating reindeer, you need to set those feelings aside immediately and find a kind stranger in Alaska, or some other reindeer-populated area, to mail you a package of frozen reindeer at the next available opportunity. 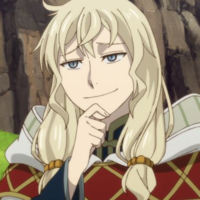 When I saw Reindeer Soup being served up by Lindel in The Ancient Magus' Bride, my first thought was, "Hmm, wouldn't it be cool if I could get my hands on some reindeer meat? Ah well, that's never going to happen." I went shopping looking for some venison for a different recipe, and vlogged the shopping trip. At some point I mentioned that I was also looking for reindeer, but wasn't having any luck finding it. A kind, wonderful, generous subscriber named Keith commented and mentioned that he lived in Alaska and could ship me both venison AND reindeer meat. I was ecstatic, and immediately gave him my order for his local butcher. A few weeks later, I was about one hundred dollars poorer, but I had before me a giant box of frozen meat (and one can of Alaskan Salmon – thanks Keith!! ), shipped straight from Alaska. Excited to get to work, I trimmed the reindeer meat, and began the cooking process. A few things to mention here – the recipe below is based on Scandinavian recipes and flavorings, hence the juniper berries and cheese-based soup. Both work amazingly well in the soup – I honestly can't remember the last time I was so blown away by the amazing flavor of a broth and other ingredients. If you are able to get your paws on reindeer meat, it's likely you will have to trim it, which means removing the excess fat and tendon to make sure each bite is as delicious as possible. Since reindeer is game meat, meaning it is not raised especially for humans and instead is hunted in the wild, it tends to have much less fat marbling, making for a tougher cut of meat. As a result, the reindeer needs extra time in the pot to soften up, which is reflected in the recipe below. All this requires a bit of extra care on your part, but the results are so worth it. Reindeer by itself, just cooked up in some butter and salt, has the texture of beef, but the flavor is so much more complex. It's gamey, yes, and iron-y, but it also has a wonderful tanginess about it, similar to cheese. I wished I had more meat to eat on its own, and not just in soup, because it has such a unique flavor to it, unlike anything I've ever tasted. The soup base, a basic beef bouillon stock that is populated with onion, carrot, and potato, is infused with juniper berries and thyme, and finished with cream cheese and Parmesan. The cheeses lend the soup a particular tang, which compliments the reindeer well. The carrots and onions add a hit of sweetness, and the potato acts as a bit of a palate cleanser in its comfortable flavor. Chise and Lindel eat this around a campfire and share stories of their lives. I honestly can't picture a better soup to have to accompany the conversation. I couldn't stop myself from eating it – it was so heart-warming and delicious-crazy-good. Lindel knows what he's doing when it comes to cooking. Even if you can't get someone to ship you reindeer, I would love it if you tried making this soup with beef, venison, or rabbit. Yes, the reindeer is amazing in this soup, but the broth itself is also incredibly delicious, and worth just as much attention. To start making your own, watch the video below for instructions! 1. Prepare all ingredients. Chop all vegetables, clean the meat of fat and tendon, and cube it. Place berries and sprig of thyme in a tea strainer/infuser, or into a small sachet, to be used to infuse the soup later. 2. Bring stock pot to high heat – melt butter. Brown the reindeer meat about 3 minutes each side, or until browned nicely. Season with salt. Remove from the pot, and toss in the onion. Allow to cook down until soft, then add the reindeer back in, along with the water and bullion cubes. Stir to combine, then place a lid over the pot, turn to medium low heat, and cook about 30 minutes to allow meat to become tender. 3. At the 30 minute mark, add in the carrot, potato, and infuser with the berries and thyme. Place the lid back on, and cook another 20 minutes, still at medium low heat, or until vegetables become tender. 4. After vegetables are ready, lower heat further to low and stir in the cubed cream cheese until melted through the pot. Resist temptation to crank heat up – you want to avoid any of the dairy splitting in the soup due to high temperatures. Then, add in the Parmesan and stir through. Remove from the heat and prepare to serve. 5. Serve hot, with a thick slice of fresh bread! In case you missed it, check out our last dish: Curry-Men from "Laid Back Camp". What other famous anime dishes would you like to see Emily make on COOKING WITH ANIME?